It’s important to get the big picture. Bible study that never looks at the big picture can lead to more questions than answers! The failure to think in terms of the overall message of a book of the Bible is often the result of preaching that one Sunday is in the Gospel of John, and the next Sunday is somewhere in Isaiah. Topical preaching can be very valuable and certainly has its place, but some Bible teachers and preachers often fail to teach the Word verse-by-verse and chapter-by-chapter. In other words, many Christians have not had good Bible study habits modelled for them. As a result, many people in the church are unfamiliar with how to study the Bible and how to hear the messages that are being proclaimed in It. In this article I will take a look at the first book of the Bible, the Book of Genesis, and attempt to, not only summarize it’s message in one statement, but show you how I arrived at that summary statement. Biblical writers repeat key words and ideas! Key words are an important way of discovering the meaning of a biblical text, or even a whole book. 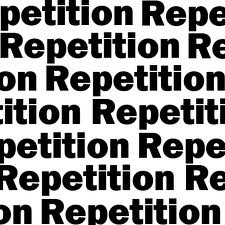 We all know that “repetition is the first law of learning.” If a particular point is important, a writer or speaker will repeat it several times to make sure the reader, or audience catches its significance. The most frequently repeated word in the Book of Genesis is the word “bless.” The words “bless,” “blessing,” etc. occur a total of 88 times. Not only is “bless” the most frequently occurring word in the Book of Genesis (excluding God and God’s name), there is no other book of the Bible in which it occurs more. This observation is a clue that blessing is an important theme in the book. There are several helpful tools that help identify key words. First, a good concordance, second, a good bible software program (e.g., Logos Bible Software), and third, a good Bible commentary (such as Gordon Wenham’s commentary on Genesis in the Word Biblical Commentary series). Be fruitful and multiply is the first blessing mentioned in the Book of Genesis. Since we have discovered that blessing is the most frequently occurring word in the Book of Genesis, the next step involves finding out what blessing means in Genesis. Once again a concordance is all that’s necessary, although a good Bible Word Study Book is also helpful. By using a concordance, I can see the various ideas associated with blessing in Genesis. The first thing I notice is that blessing is frequently connected with the gift of life. The first two occurrences of “bless” in Genesis are connected with the statement: “Be fruitful and multiply” (Gen. 1:22, 28). Not only are living creatures blessed with the ability to reproduce, but I also notice that the word “blessing” only begins to appear once life is created! These observations suggest that blessing and life are closely tied together in the Book of Genesis. As I search for other connections, I notice that blessing is also connected with possessions (Gen. 13:2), protection (as when Abram lies about his wife and he and Sarah are protected by God), the gift of land, descendants, and a great name (Gen. 12:2-3); fertility in the midst of drought (Gen. 26:12), and saving others from starvation (Gen. 41:55-57), plus much more! I begin to notice that even when the word “bless” doesn’t specifically occur, the idea of blessing is still present in many stories. I am now beginning to form a basic understanding of the main theme of Genesis. It involves God’s desire to bless. That blessing includes many things (protection, deliverance, possessions, etc. ), but ultimately the blessing is about life. God’s blessing in chapter 1 of Genesis resulted in a world that was “indeed very good” (Gen. 1:31). Sin ruined God’s good world and introduced the opposite of blessing, curse (Gen. 3:14, 17), and with curse also came death (Gen. 2:17; 5:5). But Genesis teaches me that God isn’t content with a world that has been plunged into a cycle of sin, curse, and death. Therefore, God continues to bless. In fact, God promises that human beings will triumph over the curse through the “seed” of the woman (Gen. 3:15). This is the first messianic promise in the Bible, and it is why there is such a focus on “seed” (offspring) in the Book of Genesis. The genealogies follow a pattern of tracing the promised seed, and so we see another reason for their significance. Although I’ve identified a key ingredient in attempting to summarize the message of Genesis, there is still another important theme I need to account for. 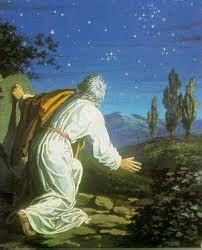 God’s promises to Abraham continue the theme of blessing and offspring in the Book of Genesis. As I follow the story of God’s blessing in Genesis, and see it constantly disrupted by sin, I come to the story of Abraham. God’s call of Abraham is clearly an important dividing point in the Book of Genesis. 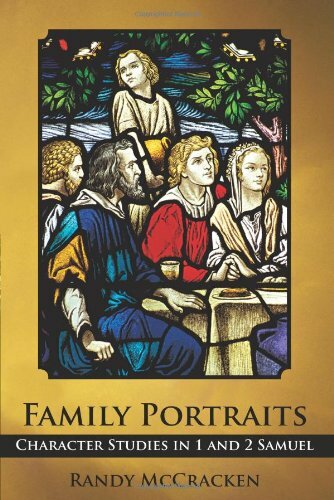 From this point on, God begins to work with a specific family: Abraham and his descendants. The reason for this is not because God has given up on the rest of mankind, but because He plans to use Abraham to bring blessing to all the nations of the earth (Gen. 12:3; 18:18; 22:18). In fact, through the promises given to Abraham, I recognize the occurrence of my two key words in God’s statement: “In your seed all the nations of the earth shall be blessed” (Gen. 22:18). Therefore, the promises given to Abraham are clearly an important part of the theme that God desires to bless by bringing life. Not only do I continue to see the key words “bless” and “offspring” throughout the rest of Genesis, but I now find the recurring theme of “promise.” This key idea is not found in the recurrence of the word “promise” but in the actions of God in the story. God begins by making certain promises to Abraham, which include the blessings of land and descendants, but also the promise to bless all nations through Abraham’s seed. These blessings are repeated a number of times to each generation of Abraham’s family. We can trace them, not only in Abraham’s life, but also in the lives of his son Isaac (e.g., Gen. 26:3-4, 24), and grandson Jacob (e.g., Gen. 28:3-4, 14). The apostle Paul clearly saw this theme of promise in the story of Abraham and he writes about it a number of times (e.g., Rom. 4:13-14; Gal. 3:16-18–note that Paul also uses the key word “seed” in both of these passages!). Although there are other sub-themes and motifs used in Genesis to communicate the message (and I will examine some of these in a future article), we have now reached a point where we can formulate our sentence. If I had to sum up the message of Genesis in one sentence (in fact, 6 words) it would be: God’s Promise of Blessing and Life. I believe this statement captures the big picture. In this statement we have the key themes of blessing, life, and promise, and the One who is behind it all. I hope this exercise has not only given you the big picture of Genesis, but that it has also suggested some fruitful ways to go about getting at the message of a biblical book. For other articles that explore certain aspects of the message of Genesis please see my series on “Violence in the Old Testament” parts 4, 5, and 6. For articles that explore other tips on studying the Bible please see my series, “Helpful Suggestions for Bible Study” of which this article is a part. Are the Seven Days of Creation Literal? Oldest Hebrew Writing Discovered From Egypt? Previous PostPeninnah: The Other WomanNext PostFire From Heaven: Is God’s Judgment Just? the theme of genesis Is so great, from the creation to joseph. it starts out by God giving us the way the world was created. how sin started. god using ordinary men to His work. preparing them in ways that are not known to them. teaching them patience, how to listen, to be obedient to God word and His commands. 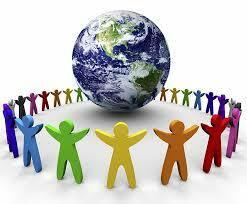 and how God uses them to bear fruit within their own families. I really enjoy gathering info from this site o. The book of Genesis.